Below are our picks for 2019's best 0% balance transfer offers. In addition to other great perks, these cards offer a 0% intro rate on balances you transfer from an existing card account. Our reviews follow strict editorial guidelines and are updated regularly. Looking to transfer your balance to low APR credit card, or even take advantage of a 0% introductory offer? See the table below for a breakdown of all the top offers for 2019 as reviewed by our experts. Simply click on your card of choice to visit its official online application. Over the past several years credit card balance transfer offers have become the new normal as it pertains to credit card acquisition strategies. In fact, it’s not a stretch to call a good balance transfer offer as being better than a good rewards structure. Almost every credit card issuer now has some type of balance transfer credit card in its financial and credit offerings. Are you familiar with balance transfers? Do you know how to choose the best offer? 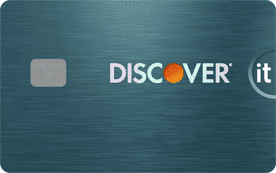 Are you just modestly curious about balance transfer credit cards? The concept is certainly simple enough – you move your existing balances from your current credit cards to a new credit card account with a lower interest rate and hopefully save some money in the process. But beyond that, you should become familiar with a number of other details before pulling the trigger on this type of credit card offer. 1. How Can Balance Transfer Cards Help with Credit Card Debt? Credit card debt is expensive. That’s not a surprise. For many people, credit card debt is the most expensive debt they will ever service. The average interest rate on a general use credit card is above 17%, and interest rates on retail store credit cards are almost always well above the 20% range. And while you may be focused on the impact of credit card debt to your wallet, the debt has the ability to cost you money in a variety of ways, including interest fees and lower credit scores. A balance transfer is a tool you can use to pay down expensive credit card debt at a lower rate. With a balance transfer, you can pay off existing credit cards or high-interest rate loans with the funds available on a newly opened credit card account. Consolidating more expensive debt onto a new, lower-interest card can potentially save you a lot of money in interest fees. Better yet, a balance transfer may also have a positive impact on your credit scores, which we’ll address next. A bonus also worth noting is that consolidating multiple debts onto a new, single account may make managing your monthly payments and your debt elimination strategies a bit easier. Still, you have to do a balance transfer for the right reasons for it to benefit you financially. If you are simply borrowing from Peter to pay Paul, in other words using a balance transfer to make ends meet, it is most likely a bad idea. Also, if you feel like you can’t commit to aggressively paying off the credit card debt on the new account, you may want to think twice before filling out any new applications for credit. 2. How Do Balance Transfers Impact Your Credit Scores? The impact a balance transfer has on your credit scores is going to depend on a variety of factors. Also, because no two people have the exact same credit reports, a new balance transfer may not affect your credit scores the exact same way it affects my credit scores. Those statements aside, in many cases a balance transfer can be a positive move from a credit scoring perspective. Credit scoring models like VantageScore and FICO heavily consider the balances on your credit card accounts. More specifically, they consider how the credit card balances displayed on your reports relate to your available credit limits. The higher your balances relative to your credit limits, the higher your revolving utilization ratio will be. That’s not good for your scores. A lower utilization ratio will often impact your credit scores positively. Provided you leave your existing credit card account(s) open and you don’t run up additional credit card debt, a new balance transfer card should lower your revolving utilization ratio — a potential win-win for both your credit scores and your wallet. There are a couple ways opening a new balance transfer card could have a negative impact on your scores, albeit probably only slightly. First, when a lender pulls one of your credit reports as part of the application for your new account, a hard inquiry will be recorded on that report. That hard inquiry could potentially impact your credit scores associated with that one report somewhat negatively. Typically a lone inquiry will not be a big deal from a credit scoring perspective. If you go crazy and apply for a dozen balance transfer cards over the course of a couple of months, that may be another story so don’t do anything silly like that. Also, by opening a new account of any kind you risk lowering the average age of accounts on your credit reports. From a scoring perspective, the older the average age of accounts on your reports, the better. Lowering this average account age could have a slightly negative impact upon your credit scores. And, if you open several cards in a short period of time you’ll lower the average age of your accounts considerably. Despite the factors discussed above, a balance transfer commonly has a positive overall credit score impact. Of course, for any positive impact to stick it is important to decrease and not increase the amount of your credit card debt. 3. How Do You Transfer a Balance to a New Card? The process of move your existing balances to a new card is not difficult, though it may vary slightly from one card issuer to the next. Once you have been approved for a new account, you can contact your new credit card issuer online or over the phone to begin the process. Before reaching out to your card issuer, it is helpful to gather all of the information you will need in advance. You should create a list that includes the names of accounts you wish to transfer balances from, account numbers, and the amounts you wish to transfer from each card. When you contact your new card issuer, be sure to let them know that you are interested in taking advantage of their 0% (or low APR) balance transfer offer. A customer service rep should be able to walk you through the process step by step. Once the request has been approved, the ball will be in your new card issuer’s court. The new issuer will generally contact your existing credit card company/companies to arrange paying the amount(s) you have specified. Assuming that your old balances have been paid off in full with the transfer, all future payments on that debt will be made to your new card issuer moving forward. If your balance transfer only pays off a portion of your old credit card debt, you will need to make monthly payments to both your new and old creditors. The time it takes for a balance transfer request to actually process can differ between credit card companies. Discover, for example, advises customers to allow between seven to 10 days for a balance transfer to process. Chase, on the other hand, states that most balance transfers will post to customers’ accounts within a week to 21 days. 4. Can You Transfer a Balance to an Existing Credit Card Account? Although most people associate balance transfer offers with only newly opened credit card accounts, you may be able to take advantage of a balance transfer to your existing credit card account as well. In fact, if you have an open credit card account with a great deal of availability in your credit limit, your credit card issuer may even market to you with lower-interest balance transfer promotions from time to time. If you want to find out if any of your card issuers have current transfer offers available for existing customers, try giving the customer service department at your credit card company a call. You can call the number on the back of your card. Keep in mind that you should vet the details of any balance transfer offer available through your current credit card company just as thoroughly as you would vet an offer from a brand new issuer. You will need to make sure that the balance transfer offer makes good financial sense despite any fees and restrictions which may be attached to it. 5. How Much Money Can I Transfer to a Single Card? The answer to the “how much” question will depend upon your card issuer’s policies and the available credit on that card. 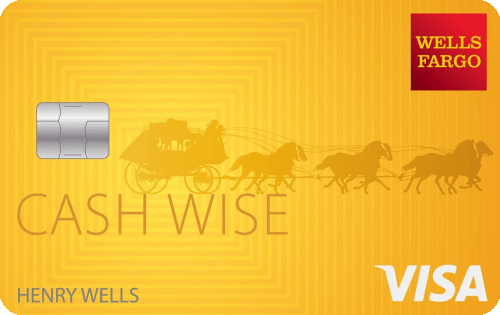 You may be able to transfer funds all the way up to the credit limit on your new account. Many cards will allow you to transfer funds close to your credit limit but will require you to leave enough availability in your credit limit to cover any balance transfer fees associated with the offer. Finally, some credit cards may have a cap on the maximum amount eligible for a transfer. Chase’s website, for example, states that balance transfer requests made online and/or with a customer service representative cannot exceed $15,000 within a 30-day period. The credit limit on the newly opened card is going to act as a boundary that will limit the amount you can transfer to that card. If your new card has a limit of $5,000 then you know, at best, you’ll be able to transfer no more than just under $5,000. And don’t forget the balance transfer fee, which will further limit how much you can move to a given card. You should keep this issue in mind when you’re shopping for balance transfer cards. Will the new card have a high enough limit to allow for a transfer and consolidation of all of your outstanding credit card debt? 6. What is a Balance Transfer Promotional Period? As enticing as an offer for an introductory, low interest rate on a balance transfer may be, remember that these lower rates will typically only last a fixed period of time. Promotional periods will vary, just like any other terms and conditions, from issuer to issuer and from offer to offer. This is commonly referred to as the grace period or promo-period. In general, you can expect to enjoy your lower intro APR on a balance transfer for somewhere between six and 18 months. Six months is the minimum term a card issuer may apply to an intro APR offer, per the Bureau of Consumer Financial Protection (formerly known as the Consumer Financial Protection Bureau or CFPB). Once the promotional period has ended, you will be charged your new account’s regular interest rate on any balance left over from your initial transfer of funds. You should also become aware of the phrase “retroactive interest.” Read the fine print of your new credit card and make sure that there is not a provision that allows the card issuer to charge you interest retroactively to the day you opened the card in the event you have not been able to pay off the balance, in full, by the end of the promotional period. If it’s clear that your new card will charge you retroactive interest then you have to make sure you pay it off, in full, before the end of the promotional period. 7. How Do You Determine the Terms and Conditions of an Introductory Interest Rate? When it comes to credit cards, there are a number of laws that protect consumers. The Truth In Lending Act (TILA), enacted some 50 years ago in 1968, requires lenders to disclose the terms of credit in a standardized way to help consumers better understand what they are signing up for whenever they apply for a loan or credit card. When you are considering a new balance transfer card, the terms and conditions associated with the account should be available on the card issuer’s website. 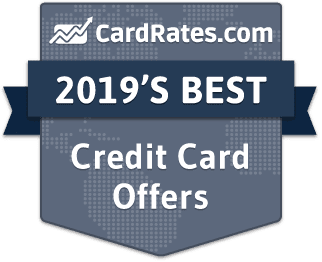 The card offer page will generally feature the highlights of the card itself, often including some information about select terms and conditions of the card such as the annual fee, rewards or cash back incentives, and the potential range of the annual percentage rate. Despite the fact that most cardholders don’t read their cardholder agreements, you should at least take the time to become somewhat familiar with them. The full terms and conditions of the offer, including those pertaining to any introductory rates, may be available only through a separate link on the card issuer’s website. And, in some cases, they’ll be mailed to you. You can find the terms of your balance transfer offer listed in your cardholder agreement. If you have difficulty locating the terms and conditions on a credit card offer, you can always call the issuing bank with questions before applying. Also, the Bureau of Consumer Financial Protection (formerly known as the Consumer Financial Protection Bureau or “CFPB”) maintains a database of credit card agreements from hundreds of different card issuers at ConsumerFinance.gov. 8. Do You Need Excellent Credit for a Low-Interest Credit Card Offer? Low-interest cards and balance transfer deals are normally reserved for consumers who have solid credit reports and scores. You will likely need to have good-to-excellent credit if you hope to qualify. Lenders typically will not extend their most attractive balance transfer offers to consumers they consider to be high-risk applicants, as indicated by their lower credit scores. Now and then you may come across a balance transfer offer marketed to consumers with fair credit ratings. However, these promotional deals typically are not quite as sweet as the promos you may land if your credit were in better shape, and they may have extra fees, such as a high annual fee. If your credit rating is currently poor, it is probably best to work toward improving your credit before you fill out any new applications for low-interest card offers. When you apply for prime credit card offers with a subprime credit score, you are almost guaranteed to be denied. And, to add insult to injury, the credit inquiry may lower your credit score even more. 9. How Do You Find the Best Balance Transfer Credit Cards? Applying for balance transfer cards just to find out which one gives you the best terms is not a wise financial move. You’d be loading up your credit reports with damaging inquiries and new accounts that will certainly lower the average age of your credit, neither of which is good for your credit scores. When it comes to shopping around for a balance transfer card, it’s best to do your due diligence in advance of the application. Websites that act as credit card shopping malls are easily available with a quick search, or you can go here as I’ve done the work for you already. These useful comparison sites can give you a good idea of the terms of countless credit cards without actually applying for any of them. When you settle on the one card that you really want, then apply for it. 10. 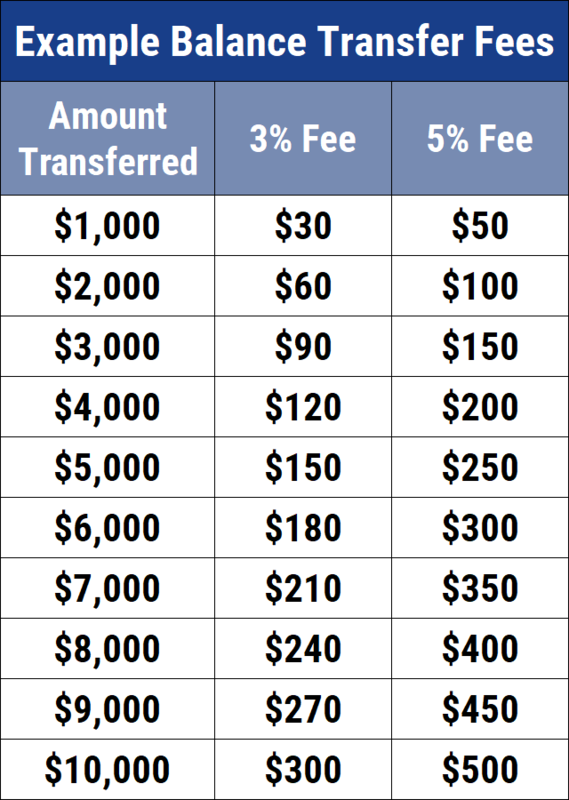 What is a Balance Transfer Fee? Balance transfer fees are charged by most credit cards that allow balance transfers, and they can cost as much as 3% to 5% of the total transferred amount. Transfer fees are charged by the card to which you move your balance, not the card from which the balance comes, and apply to every transfer. Additionally, most balance transfers will charge a minimum transaction fee of five to $15 for cardholders who are transferring a small balance that would incur a lower fee otherwise. Balance transfer fees are charged by the card issuer of the newly opened account. Do the math and make sure that moving your outstanding balance over to the new account still makes good financial sense. Balance transfer fees will eat away at some of your potential savings. But the news isn’t all bad as it pertains to transfer fees especially if your newly opened card has a 0% promotional period. Before you change your mind about applying for a balance transfer card because of the fee, you should consider that the cost-benefit of the card is still likely going to be in your favor, and by a lot. In many cases, balance transfers can save you money despite a transfer fee, but don’t take that for granted — crunch the numbers yourself first. Let’s say, for example, the balance transfer fee is going to be $75 for transferring a $1,500 balance with a 5% fee. At 17% APR, you’d pay over $1,100 in interest over the life of the card if you just paid the minimum each month. That’s the value of these zero interest balance transfer cards, you can avoid paying an enormous amount of interest if you’re disciplined and pay off the debt as soon as possible. 11. Can You Earn Cash Back or Rewards on Balance Transfers? Although every issuer sets up its own policies, you typically cannot qualify for cash back, miles, or rewards points on balance transfers. Really, it is almost unheard of. Credit card issuers almost always include language in their agreements that exclude any balance transfers from earning cash back, racking up rewards points, or qualifying for a signup bonus. You typically cannot qualify for cash back, miles, or rewards points on balance transfers. If you think about it, you likely received some form of a credit card rewards when you first incurred the debt. Getting rewarded for it again, without making any new purchases, doesn’t really make sense for the new issuer. If you want to qualify for rewards and signup bonuses, you will likely have to rely on new purchases rather than balance transfers to earn such perks from your card issuer. But here’s my disclaimer, you never know until you ask, and the phone call is free. It’s certainly not illegal for a card issuer to give you rewards on the balance transfer amount, it’s just not good business for it to do so. Call the card issuer and offer customer service agent your business contingent on rewards for your balance transfer. All her or she can say is no. Just don’t make that your final decision metric because you’re likely going to be disappointed with the response. 12. Do Balance Transfer Credit Cards Require a Monthly Payment? When you transfer an existing balance from one credit card account to another, you will be required to make at least the minimum monthly payment on the account each billing cycle moving forward. Of course, for you to really benefit financially from a balance transfer, you should plan to follow a much more aggressive repayment schedule. If you transfer $5,000 onto a credit card with no interest for 12 months, you should ideally make payments of at least $417 per month. Otherwise, you could wind up owing a remaining balance at the end of the low-interest intro period — a balance that would become subject to higher interest rates at that time. And, you may be required to pay retroactive interest on the full $5,000 for not having it paid off in full by the end of the promotional period. Most of the really good balance transfer cards will offer you a 0% charge on the balance transfer and 0% interest on new purchases. They will not offer you zero payment required. And frankly, if you’re looking for a deal that allows you to avoid payments then you’re swimming in dangerous waters. Credit card companies are not in business to be altruistic. They’re in business to make money. 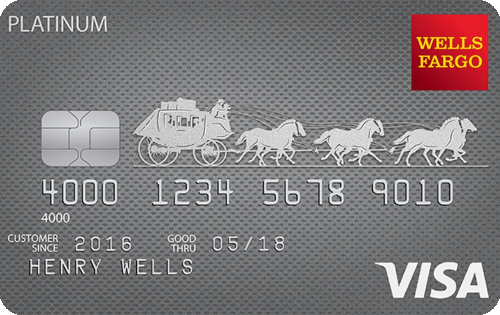 Zero-interest balance transfer cards have become popular not because they aren’t profitable. They have become popular, and almost every bank offers them because they are profitable. Balance transfer cards are structured to seem like a really great deal for consumers. And if you use them properly, they are, in fact, a great deal for consumers. But, if you are fortunate enough to qualify for a balance transfer card and then you rack up a much higher balance or you miss payments or you charge up the pre-existing card, then you’re going to find yourself in trouble twice over. 13. What Happens if You Make a Late Payment on a Balance Transfer Credit Card? This is a very bad idea. One of the biggest mistakes you can make with a new balance transfer card is to miss your payments. Credit card issuers will generally revoke your low introductory interest rate if you make a late payment during the promotional period. When you make late payments your card issuer may also elect to charge you a late payment fee. Late fees can cost up to $27 for the first offense and up to $38 thereafter if you are late again within the next six billing cycles. To add insult to injury, if you fall a full two payments behind, your card issuer can hike your interest rate up to the move your existing balances, which often hovers near 30%. Just decide that you’re going to make every single one of your minimum payments on time, all the time. Nothing good ever comes out of missing payments regardless of whether it’s on a balance transfer credit card or any other form of credit. 14. Are There Any No-Fee Balance Transfer Credit Cards? Balance transfer offers can be a great way to reduce your interest rate, not only saving you money on interest fees but also giving you the ability to pay down your debt faster. Unfortunately, balance transfer offers do tend to have one major catch: transfer fees. The norm is for most credit card issuers to charge a balance transfer fee of some kind with these types of lower-interest, introductory credit card offers. Still, a few card issuers break the mold and occasionally offer a move your existing balances. No-fee balance transfer card offers are generally the exception, not the rule. You will also most likely need excellent credit to qualify for such coveted offers. Even cards that boast the elusive no-fee balance transfer option typically come with an expiration date on the offer. For example, you may be able to enjoy a no-fee, 0% balance transfer option on your new account but only during the first 60-90 days after the account is opened. As with any balance transfer offer, be sure to read the fine print before clicking the submit button on your application. The long and short of it is this: A card with a balance transfer fee may actually have considerably better terms than a card without a balance transfer fee. If you paid $75 to transfer your balance but you also had 18 months at 0% interest to pay it off, that’s worth every penny of that $75. If you only had 60-90 days to pay it off, you may not be able to do so before the promotional period ends. 15. Do You Need to Pay Off Your Full Balance Before the End of the Promotional Period? If you want to get the most bang for your buck, then, by all means, you should aim to pay off your full balance before the end of the intro period. Failing to eliminate your credit card balance during the promotional period negates some of your potential savings from a lower-rate or 0% introductory APR. Not only can paying off your full credit card balance save you the most potential money, but once the account shows a zero balance on your credit reports, it will bring your balance-to-limit ratios on the card down to 0%. This is great for your credit scores. Paying off the balance by the end of the promotional period also eliminates any possibility that you’ll be required to pay retroactive interest starting from the day you originally transferred the balance. That’s not a credit score benefit, but it’s certainly a financial benefit. And now that your balance is zero, keep it that way. Only charge what you can afford to pay off in full every single month. That way the interest rate on your credit card becomes immaterial because you’ll never pay interest. The information on this page was reviewed for accuracy on December 14, 2018 .